Dr. Steven J. Hutchinson was born and raised in Rock Hill, SC. Upon graduation from Northwestern H.S. he earned a Bachelor of Science Degree in Biology from The Citadel. After completing his undergraduate studies he attended the Medical University of South Carolina in Charleston, earning his Doctor of Dental Medicine in 2001. Dr. Hutchinson moved to Lexington, SC in the summer of 2001 and has been in private practice since. He is a member of the American Dental Association, South Carolina Dental Association, The Greater Columbia Dental Society, the Association of Citadel Men, and is an Eagle Scout. Dr. Hutchinson strongly believes in providing the finest quality care to his patients. His goals are to educate, motivate, and bring you back to a state of dental and overall health while enhancing the natural beauty of your smile. He believes that a healthy smile will improve self-esteem, confidence, and bring forth a better quality of life. 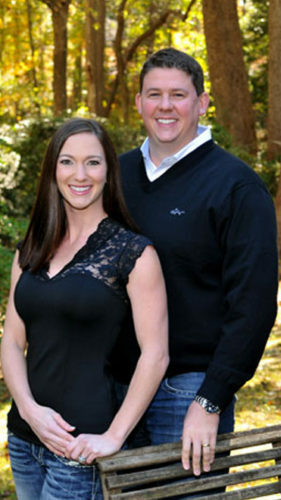 Dr. Hutchinson is married to his wife, Jennifer, who practices dental hygiene part time. Together they have a beautiful daughter, Elizabeth Reagan. He enjoys spending time with his family and when he’s not at work you will likely find him at the family farm. They have horses, mini horses, goats, donkey, chickens, and cats. His absolute favorite are the goats, to which he has raised many on a bottle!